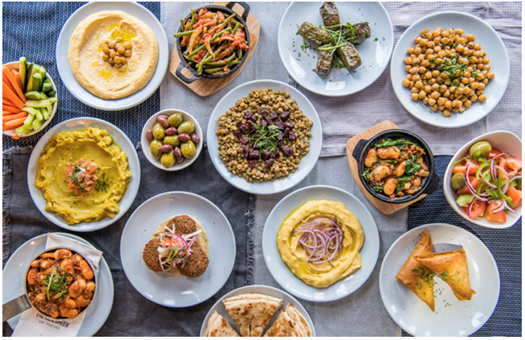 The Real Greek announces the launch of its Vegan Menu – a first for the restaurants that specialise in delicious fresh Greek food. Created in collaboration with celebrated Greek cook Tonia Buxton, the thirty-item vegan menu pays homage to Greece’s rich heritage of vegan cooking and the fresh ingredients found in Greek and Cypriot cuisine. The Vegan Menu uses vegan-friendly foods traditional to Greece – such as vine leaves, lentils and spices – to create a menu packed with variety, colour and flavour – designed for vegans and non-vegans alike. The thirty dishes on the menu include Jackfruit Stifado (Greek stew made with delicious slow-cooked jackfruit, hearty button mushrooms, shallots and aniseed), and the Vegan Moussaka (layered potato, seasoned courgette, aubergine and slow-cooked jack fruit mix, cooked with cinnamon for a deep delicious flavour). These recipe developments follow months of mouth-watering research. The Real Greek chefs toured Greece and the UK, speaking to customers about meat-free and dairy-free food, and sampling vegan dishes.